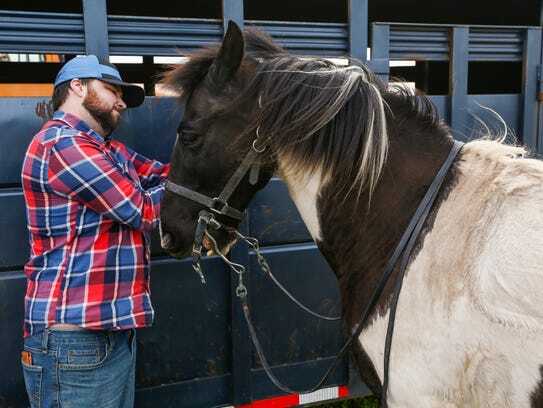 For the first time in years, Landon Gardner doesn't struggle to breathe when he saddles his horse, Duke. It was one of the first "wins" the Walnut Grove man noticed after getting a new heart last year. "Things that I used to get wore out doing, now it's no problem," he said, smiling. "It's mostly the everyday things." Garnder, 24, was born with a congenital heart defect called transpositon of the great arteries, which means the two main arteries carrying blood away from the heart are reversed, which can impair the normal body-heart-lungs-heart-body blood cycle. He had corrective surgery when he was a day old, and that lasted till he was 12, when he had to quit playing sports.